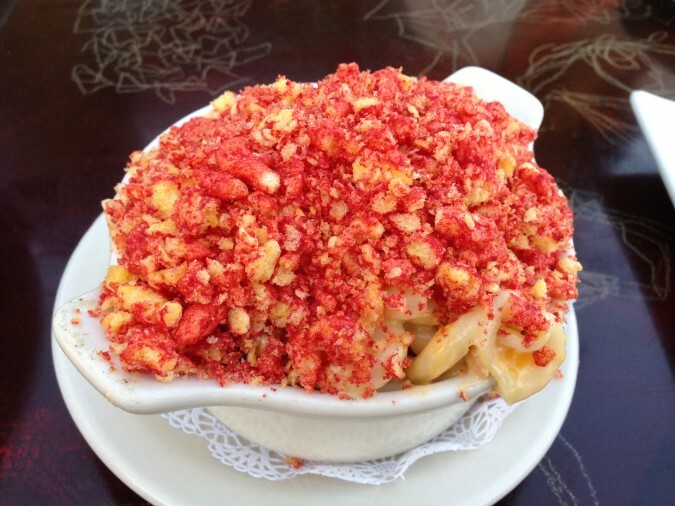 Yes, that is hot Cheetos covering a bowl of delicious Mac ‘N Cheese! 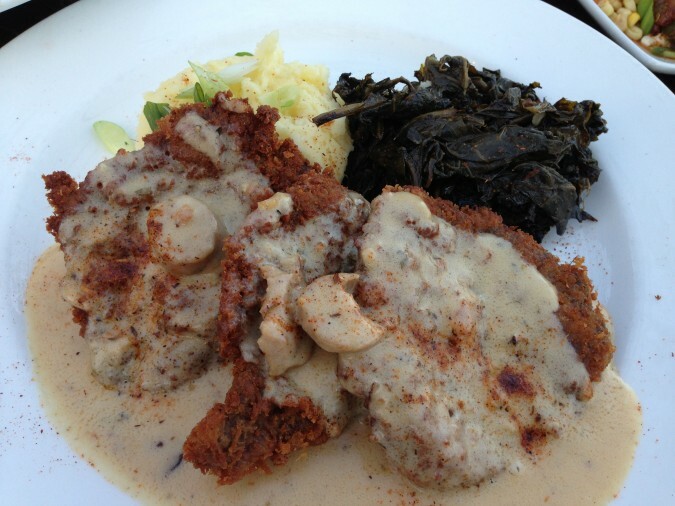 To all of my fellow foodies that love southern style comfort food, you have to try The Attic in Long Beach, CA. At first then I heard of Mac ‘N Cheetos I initially thought the hot Cheetos would over power the Mac ‘N Cheese, but it doesn’t. The Cheddar, Mozzarella and Jack cheese along with bacon create a bold flavor that holds up well against the spicy kick of crumbled hot Cheetos. 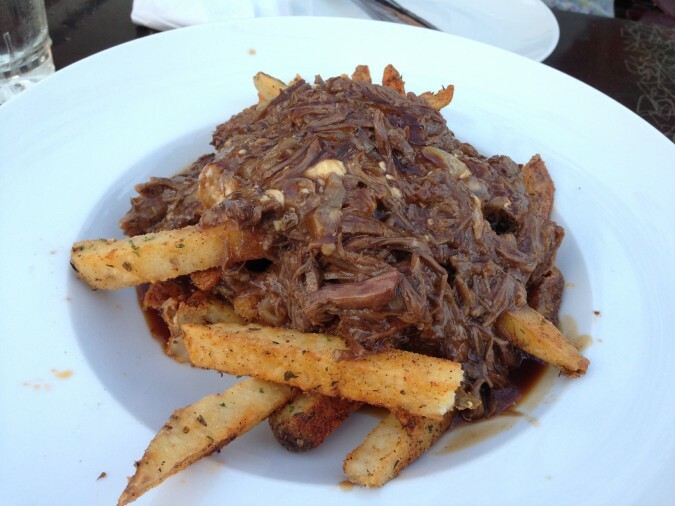 Another great appetizer is Short Rib Poutine, which is Hand Cut Fries, Braised Short Ribs, Mozzarella Cheese Curds, & Red Wine Demi-Glace. If you are a steak and potatoes kind of a person then this is your ultimate dish! 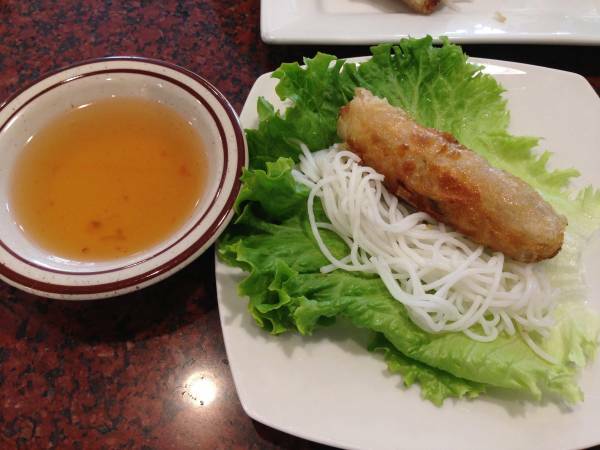 For those of you who love spicy food and bold flavors, try the bacon wrapped jalapeno. 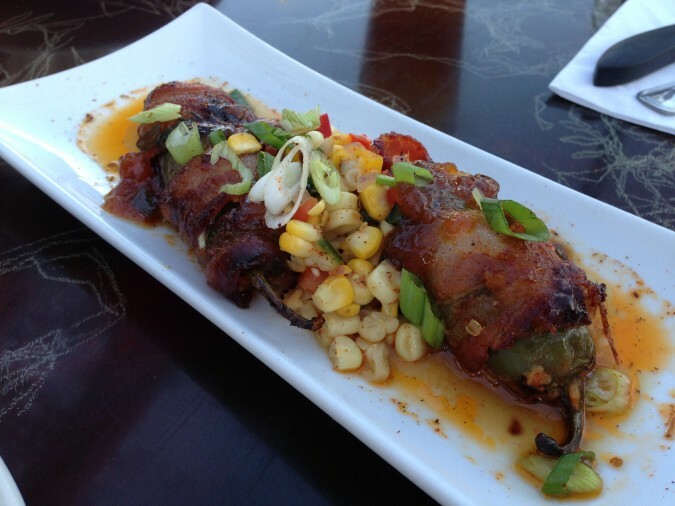 Two Jalapenos stuffed with Crab & Cream Cheese, wrapped with Candied Cayenne Bacon, & topped with Peach-Jalapeño Jam and Fire Roasted Corn & Poblano Relish. Warning, these guys are on the hot side but the corn relish helps cool down your tongue and the flavors are amazing. 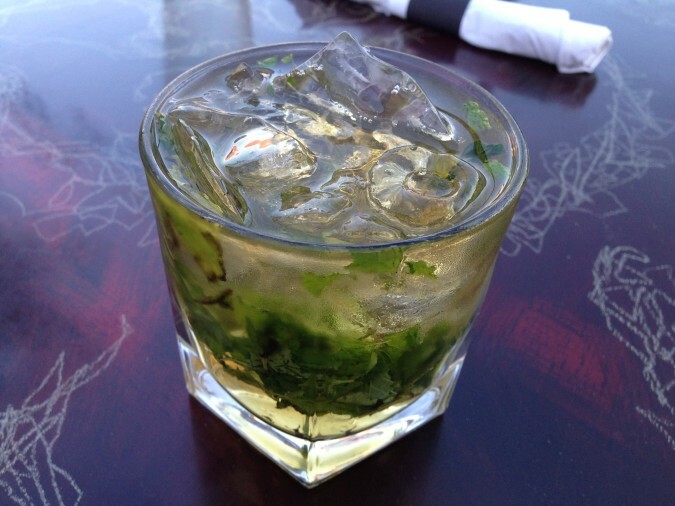 Now a southern style meal wouldn’t be complete without a nice mint julep and the one at The Attic is legit! 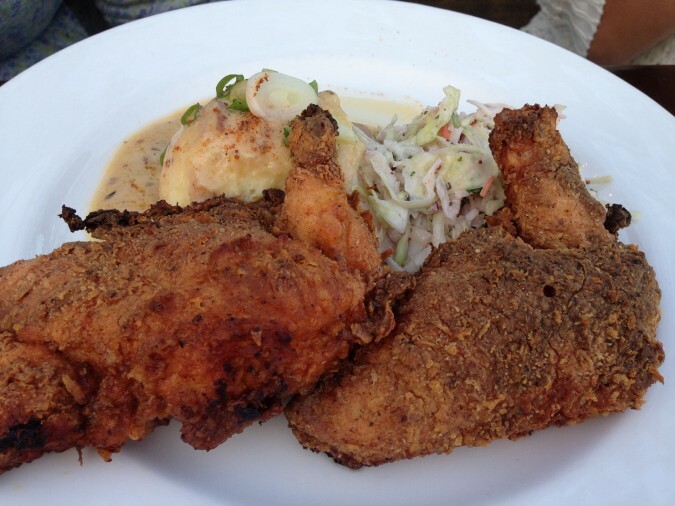 One of their best selling entrees is their Buttermilk Fried Chicken which comes with mashed potatoes and braised greens. 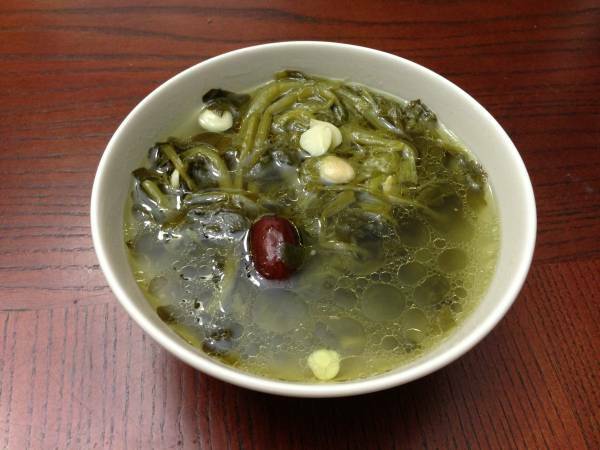 My friend Anna got this dish but she substituted home made slaw for the braised greens. Normally it also comes with a thigh and breast, but today it was just breast meat. Although this dish wasn’t my entree, I got to try a bite and the chicken was super juicy and flavorful. For my entree I tried their chicken fried steak smothered in gravy with mashed potatoes and braised greens. Their gravy was finger licking good and their mashed potatoes were delicious. Normally I like braised greens but I wasn’t a huge fan of the one served at The Attic, so next time I will probably switch that out for their slaw or some other vegetable side. 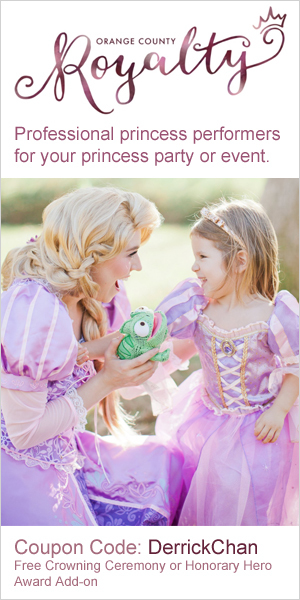 My wife got their Chicken Pot Pie but I wasn’t a huge fan of it so it didn’t make the cut for making it onto this post. Just know that their Chicken Pot Pie is Cajun style and not your traditional Chicken pot Pie. Now for dessert hands down my favorite is their Banana Foster Bread Pudding, but that is coming from a bread pudding lover. One piece of advice, make sure you eat this dessert right when you get it because it is nice and warm. 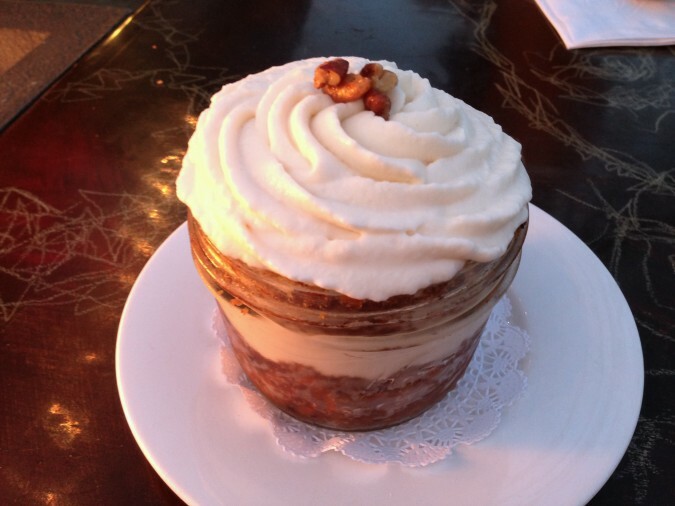 Another great dessert is their carrot cake which is served in a glass jar. The cake itself is really good but the part that really makes this dish is their hand made whipped cream on top. 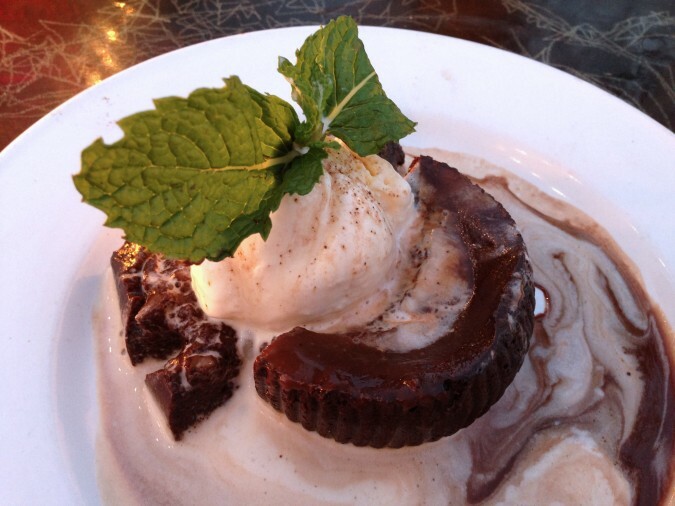 Now for you chocolate lovers my wife really enjoyed the Molten Chocolate Cake. 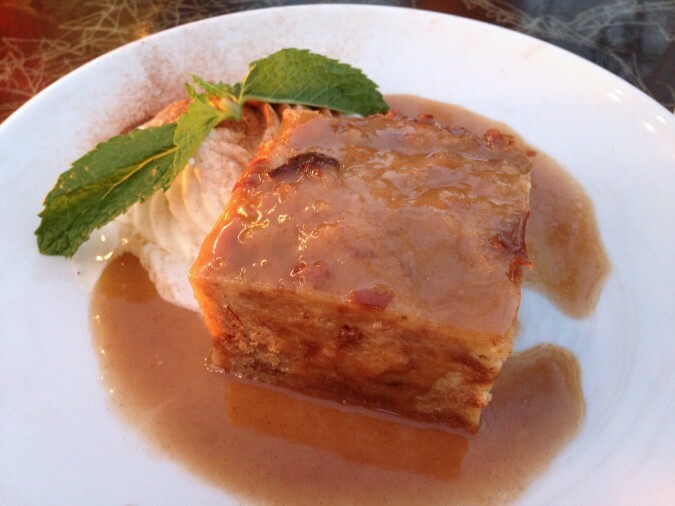 It wasn’t bad, but I was too busy enjoying the Bread pudding to really notice. Overall I think The Attic is a great place to eat in Long Beach for southern style comfort food with a modern twist. I will definitely be back for more!